Carl Icahn is selling the storied supplier to Tenneco in transaction valued at $5.4 billion. Federal-Mogul, one of the oldest suppliers in the auto industry with roots dating to 1899, has provided ball bearings, powertrains, engine components and many popular brand-name aftermarket parts. 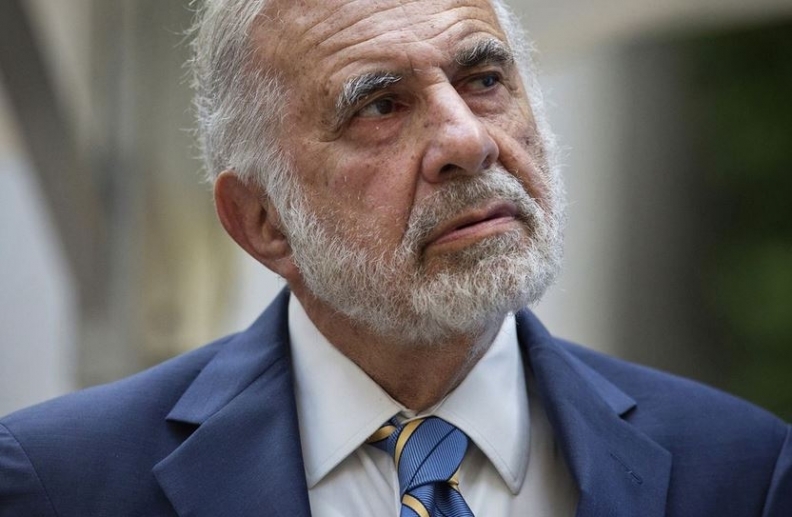 But after a long and sometimes checkered history of navigating asbestos litigation and bankruptcy and struggling to regain profitability, Federal-Mogul is slated to be acquired by Tenneco from legendary Wall Street investor Carl Icahn in a deal valued at $5.4 billion. The deal would pave the way for the birth of two public companies -- a powertrain technology business that would merge Tenneco's clean air division and Federal-Mogul's powertrain unit, and an aftermarket company that would blend Tenneco's ride performance unit and Federal-Mogul's aftermarket business, Motorparts. The split would take place during the second half of 2019, Tenneco said in a statement. The transaction, which is expected to be completed during the latter half of this year, will be paid for through a combination of $800 million in cash and roughly 30 million Tenneco shares and assumption of debt, Tenneco said. The acquisition is contingent on customary conditions and regulatory approval. Founded in 1899 under the name Muzzy-Lyon, the company at the time sold mill supplies and rubber material. Its subsidiary, Mogul Metal, sold specialized metals for bearings. In the 1920s, Mogul Metal merged with Federal Bearing and Bushing, becoming Federal-Mogul. After merging in 1955 with Bower Roller Bearing, a supplier of straight and tapered roller bearings, Federal-Mogul became Federal-Mogul-Bower Bearings. The following year marked $100 million in sales and its debut on the Fortune 500 list. Many solid years of growth through acquisitions followed. In 1966, Federal-Mogul moved its headquarters from Detroit to a suburb, Southfield, Michigan. The company completed several more acquisitions as it celebrated its 75th anniversary in 1974. Sales grew to $833 million in 1981 and the company boasted that the space shuttle included Federal-Mogul's Arrowhead parts. Employment reached 15,000. In 1995, then-CEO Dennis Gormley launched a controversial plan to compete with Federal-Mogul's customers by creating a network of 500 aftermarket retail stores. The company planned to build a prototype and tear it down in two weeks, Crain's Detroit Business reported at the time, but the effort ultimately fell apart as the company's stock price languished. Shortly after replacing Gormley in 1996, CEO Richard Snell set the stage for his growth strategy, dubbed the "Big Hairy Audacious Goal," in which he committed to land $100 billion in sales by 2002. In March 1998, Snell purchased T&N PLC, British maker of engine seals, and Fel-Pro, supplier of gaskets and seals -- two deals that ultimately sucked the company into a whirlwind of asbestos-related litigation. After being lashed with liabilities from asbestos lawsuits and acquisition charges, the maker of brake friction materials, chassis, wipers and other components filed for Chapter 11 bankruptcy reorganization in October 2001. In December 2007, the supplier emerged from bankruptcy after billionaire investor Carl Icahn paid $775 million in unsecured debt, putting him in control of the company. As finances sank into the red with a net loss of $468 million in 2008, the supplier launched cost-cutting efforts that trimmed 8,600 jobs and reduced its net loss to $45 million for 2009. In 2012, the supplier began operating as two business units -- powertrain and aftermarket parts. A year later, plans to split the supplier into two public companies surfaced but were scrapped 16 months later during Icahn's $1.03 billion bidding war for auto parts retail chain Pep Boys. The supplier attributed its decision to nix separation plans to currency fluctuations in Brazil, Europe and Asia. Icahn, who remained the supplier's largest shareholder after its bankruptcy exit, took full ownership of Federal-Mogul in a $300 million deal in 2017.